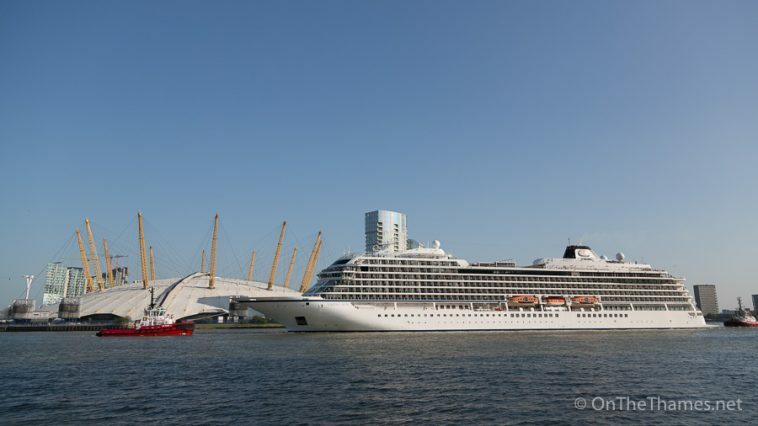 NEW 228-metre-long cruise ship Viking Sun sailed up the Thames in the early hours of Friday morning - the first cruise visitor to the capital this year. 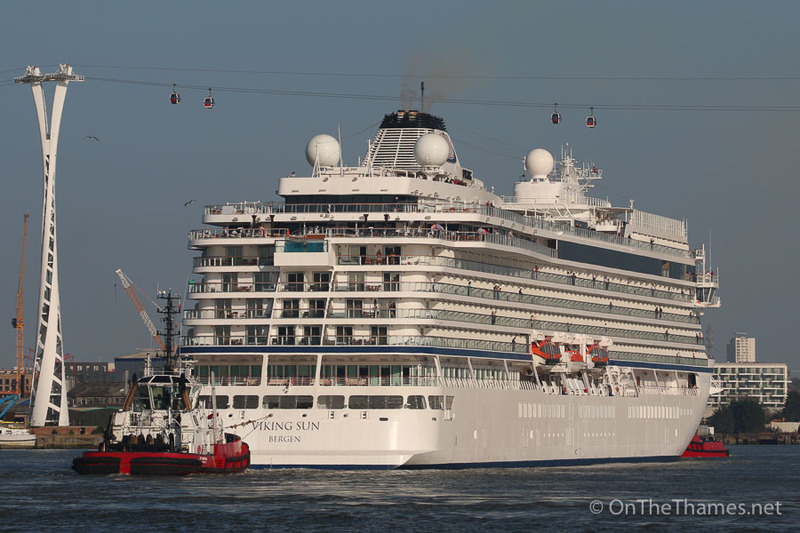 The ship, which was finishing her maiden 141 night round-the-world cruise that started in Miami last year, is the fourth in the Viking Star-class. 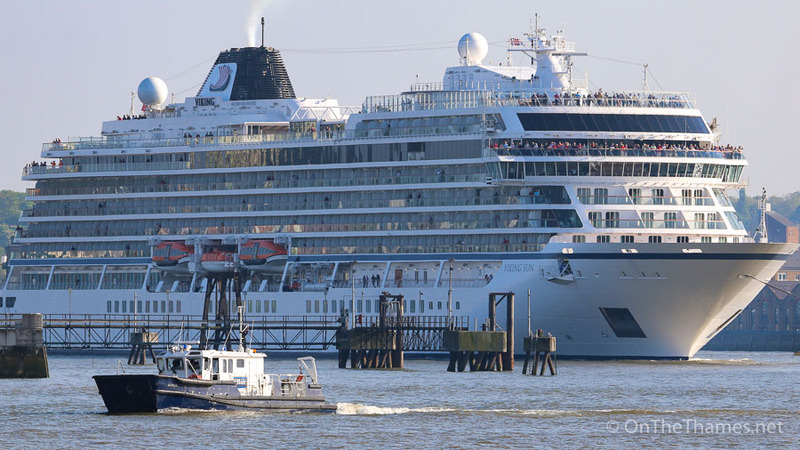 Viking Sun, with a capacity of 930 passengers, spent three days at Greenwich Reach before departing on Sunday at 5pm. 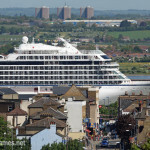 It was the first of sixteen scheduled visits to Greenwich by cruise ships this summer, including eight from the Viking Cruises line. 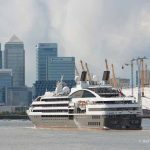 The arrival coincided with an announcement by the Port of London Authority that it has awarded a contract for the management of its London moorings to a Capital Cruising - a new joint venture from the Port of Tilbury and MBNA Thames Clippers. 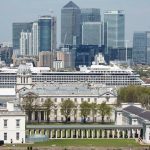 With immediate effect, Capital Cruising is taking responsibility for three moorings: Greenwich Ship Tier, Tower Bridge Upper (alongside HMS Belfast) and St George's Stairs (below Tower Bridge). 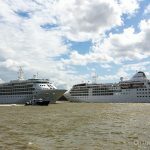 Cruise ship Silver Cloud arrived alongside HMS Belfast this morning (Tuesday) and there's been a flurry of activity at Tilbury over the past week with Magellan, Columbus, Astoria and Aidavita all visiting. The PLA launch Barnes leads the 228 metre cruise down the river. 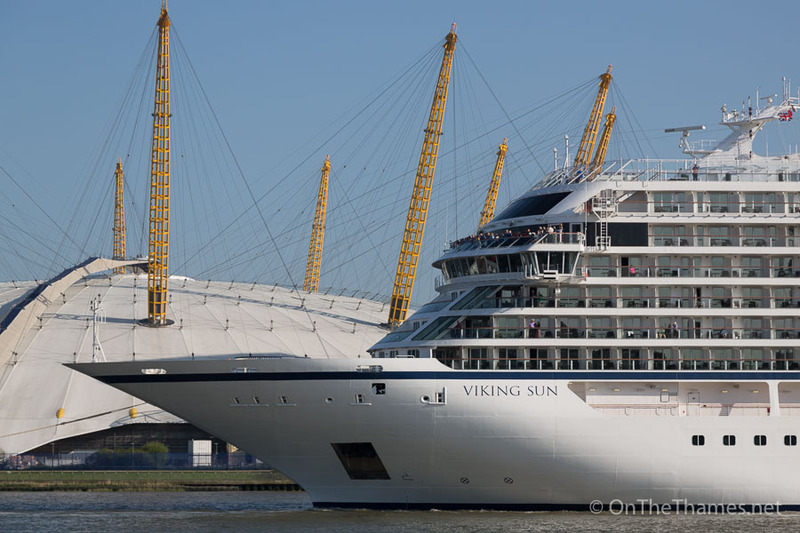 Viking Sun passing the O2. 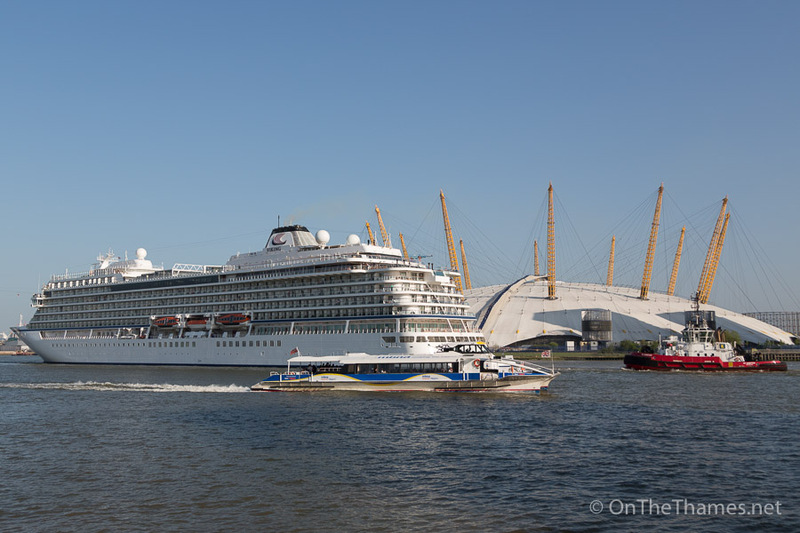 A Thames Clipper vessel passes the outbound Viking Sun. 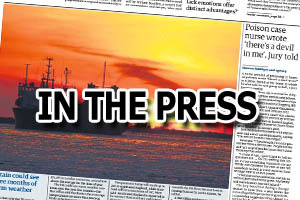 Thames Clippers are part of a new joint venture which will manage the PLA's London moorings. 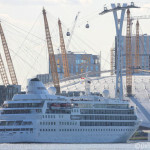 Viking Sun heads under the cable car which spans the river thames between North Greenwich and the Royal Docks. Great photos, as usual. 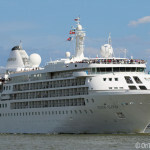 Stunning ship in iconic locations in great weather. Living away from the area, I appreciate your photos and updates about what’s happening on the river. Thanks.